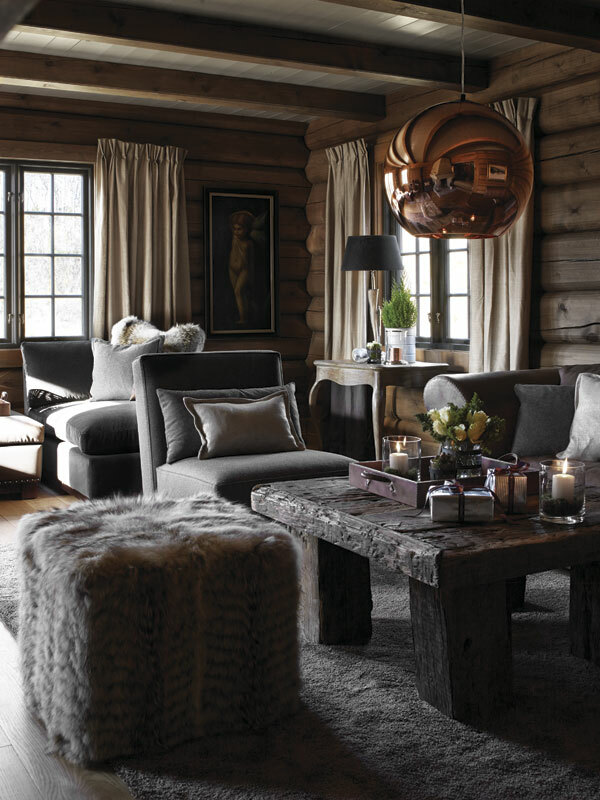 A married couple with four children spends most of its winter in Havsdalen in Geilo. An area that is popular for its skiing activities as well having some winter cabins meant to give families the perfect holiday getaway from the hustle of a busy city. One family shares with us their experience of a classical Christmas period after having rented various cottages for over a period of 20 years in deep in the heart of the mountains in Geilo. A family with kids often prefers a cabin with lots of space; this nice couple opted for a three storied mountain cabin. The ground floor acts as a storage for all of the skiing accessories as well as other playing equipment’s, while the other stories serve as either living room, lounge as well as bedrooms with lots of space. 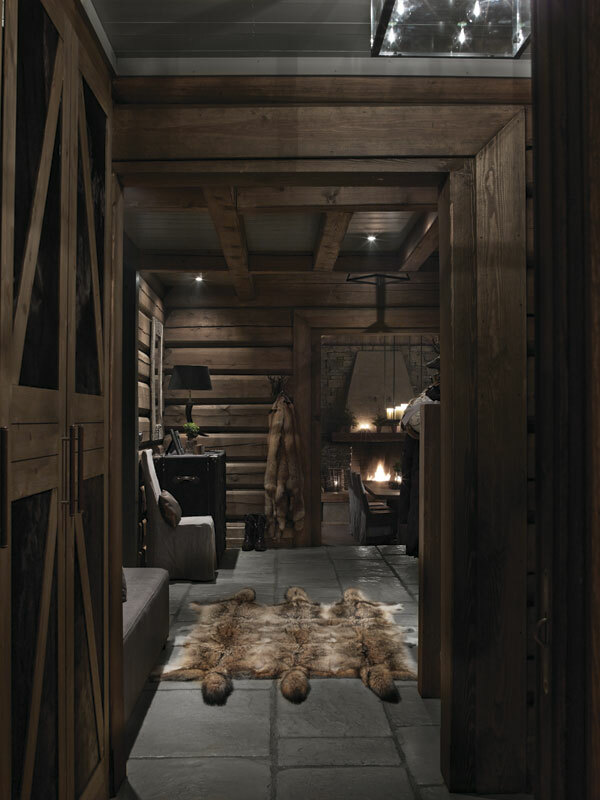 The various rooms are all redesigned courtesy of Elin Fossland, who gave the cabin a new upgrade by blending in dull natural colors to compliment the feel of the wood in the cabin. A warm house keeps a family happy. Several fireplaces warm the various areas of the rooms. In addition to this, the modern system of water heater keeps all the temperatures in the house warm during the winter season. Several bathrooms and toilets make it easier to accommodate more than just their nuclear families. What wouldn’t make a festive season merrier than having guests over for Christmas? As a guest the heart on the door says it all about this family, you will feel already at home by just being on their doorsteps. It’s needless to say that you will notice the warm carpeting material as soon as you are inside. In the stairway, you are greeted by various photos that capture timeless memories either from walking, skiing or just some precious moment hang on the walls. The hall is big and impressive; the great wolf skin compliments the wood colors, the dim lights making the place looks merry and cheerful, the embers of fire at the fireplace as well as the cabinet door upholstered with leather; seems to wrap up the elegance that the occupier shares with any of his guests. 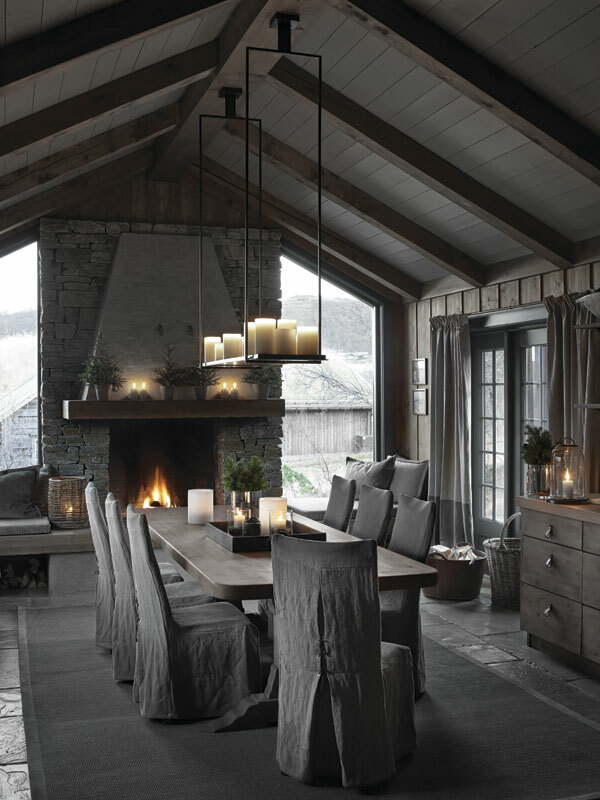 The dining room houses a large table capable of hosting more than a handful of guests. Above it a chandelier housing candles make you appreciate the artistry of the interior décor. Across the table, you wouldn’t fail to notice the lovely curtain boxes, complete with matching binders as well as curtains that complement the beauty of the entire place so to speak. The lounge is perfect for those lazy mornings; you can relax on the couch reading your favorite magazine or just surfing the web pages going through your favorite interior designs blog, which you’re probably reading right now. The coffee table is something of a phenomenon as the rough wood gives it a unique feel. 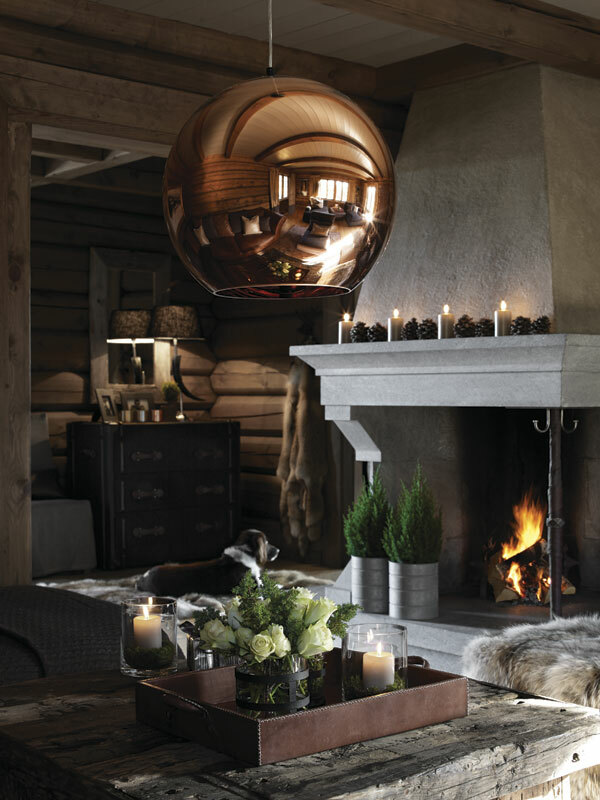 The copper-colored lamps by Tom Dixon just show you how much this family values quality. Moreover, the beige curtains with a blackish hemline coming from Holmen Tex speak nothing of splendor and perfection. A well-refurbished cabin such as this is a thing of beauty for any family to have. It’s a home that can be passed down generations to come for its beauty as well as the history it holds.